​Precision Medical Transcription Services (PMTS) provides fast, accurate and delivered on time medical transcriptions that are e-mail, mail, print or fax ready for the user. 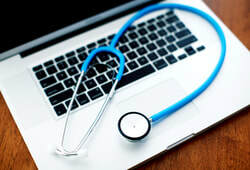 We are medical transcriptionists catering to doctors, specialists and EMR users covering all document needs. Cost effective. We provide fast, accurate and delivered on time medical transcriptions that are mail or print ready for the user. Conveniently located in the central GTA, we take pride in servicing all our clients near and far. Using EMR? Most EMR systems have the capacity to produce documents but they are extremely time consuming. Why not let us take that activity off your hands and use your staff for other important matters such as billing, scheduling and customer service.